Mortal Combat 11 Announced for PC and Consoles . Mortal Kombat 11 Revealed coming to 23rd April . Mortal Kombat 11 has been revealed .It comes out 23rd April 2019 on PC and consoles . NetherRealm's next fighting game was announced at The Game Awards with a typically gory teaser trailer that saw series veterans Scorpion and Raiden killing each other over and over again ,each time returning for more . Here's is official words - "The all new Custom Character Variations give you unprecedented control to customise the fighters and make them your own .The new graphics engine showcasing every skull-Shuttering , eye popping moment ,brings you so close to the fight you can feel it .And featuring a rosterr of new and returning Klassic fighters , Mortal Kombat's best in class cinematic story mode continues the epic saga over 25 yers in the making". 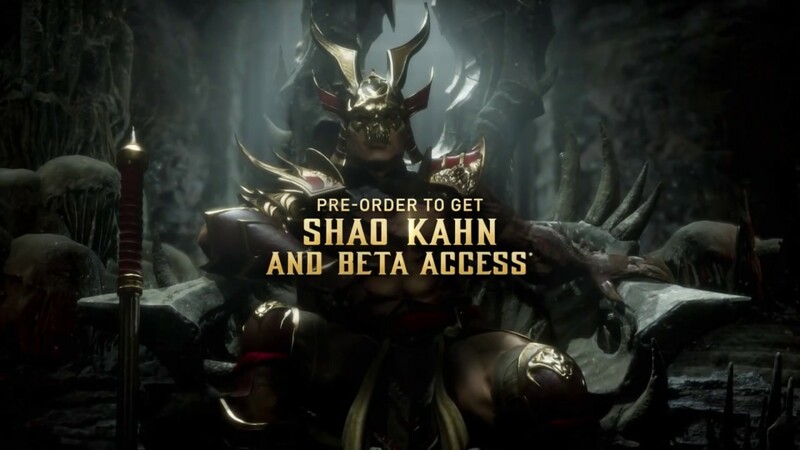 If you pre-order Mortal Kombat 11 . you get reward of Shao Khan and Beta access .